I remember the day I wrote the workouts in The Swing. Writing workouts #1-#5 were easy as these routines were the exact progressions I used in every beginners class I taught (and still teach today). 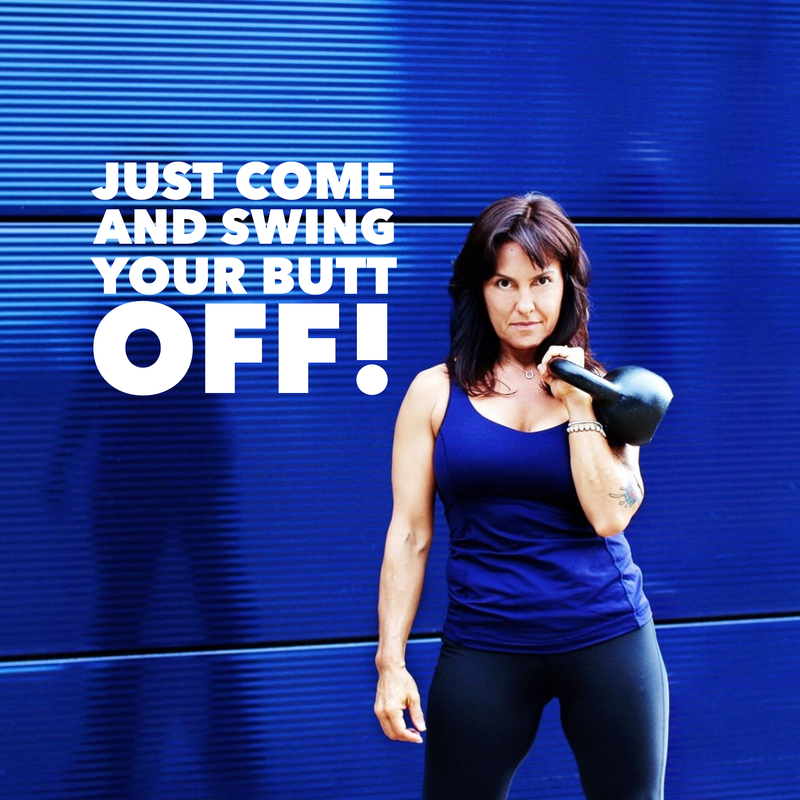 For weeks after I first learned the two hand swing (8kg) I did nothing other than swing the kettlebell, mostly because I wasn’t interested in learning anything else….mostly because I didn’t think it would “do anything”. And by that I meant I was highly skeptical and very resistant to giving this weird looking iron ball with a handle credit to produce any kind of results! But swing away I did! Some, many, would think doing only swings would be boring! But not me 🙂 I was fine and quickly found ways to entertain myself. One of the first things I did was to time my reps and sets. I noticed that it took me exactly 15 seconds to complete 10 swing repetitions. 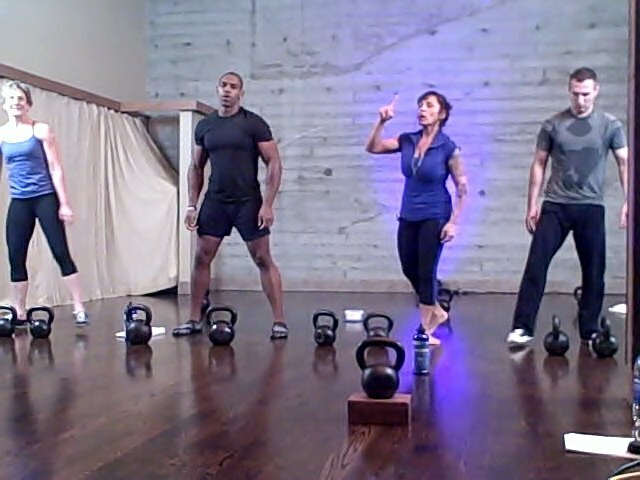 It was at this point that I started playing with the clock and interval swing training took over my workouts. If 10 reps took 15 seconds, then 20 reps would take 30, and 40 reps would take 1 minute….let’s see…. Let’s try it again…..and again…and again…. I became lost in a trance of timing my swing reps! And lucky for me that I did! Little did I know at the time that The Swing, and now SwingLean was born! 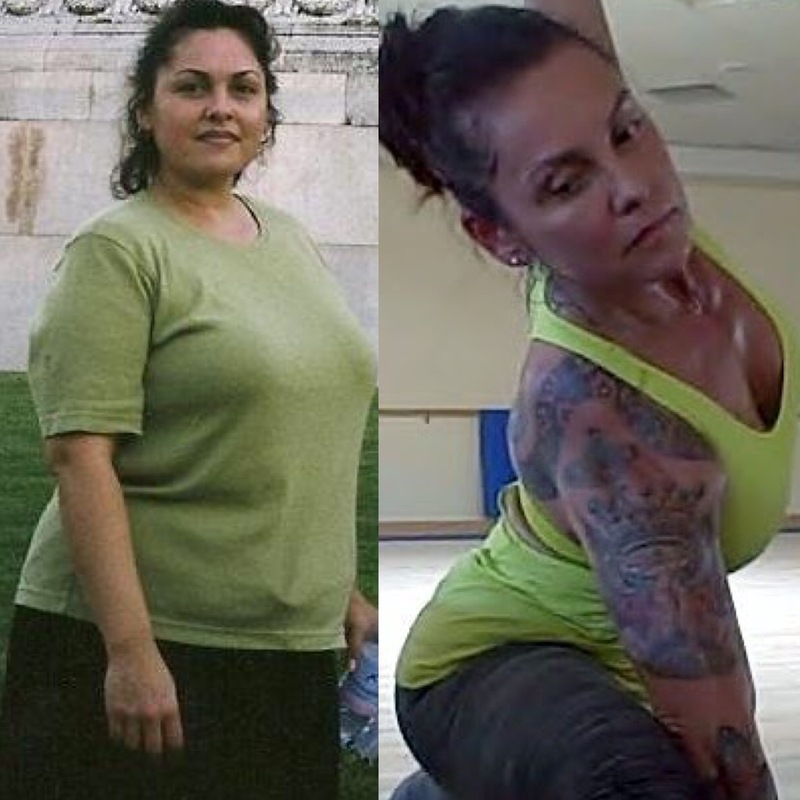 I am the first and only Instructor that has built a practice and a business training and teaching “swing only” workouts! Wow how far we’ve come! Not only in terms of work capacity, but at many Certification Courses here in the US I’d guess close to 50% of candidates are female! 1 sw, 1 tr x 10.…done! 800 swings…I think, 30 min. 30 sec. Maribel and I had some fun in the beginning, before it got hard and I joked about how we were turning into quite the team, our rapport reminded me of Dan and Bryan, two hosts of a podcast I did a couple of months ago! So, Dan, if you read this, I challenge you to give this workout a go! If you liked these workouts and you live in the Long Island, NY area you need to come swing with me in person!!! I’m bringing SwingLean to the East Coast! Woo hoo! I’m so excited about the weekend of events I have booked for April 22 and 23 at Elite Girya in Deer Park NY. You can find all of the details in the links I provided as early bird prices are offered now until March 31 only! Not kidding! Buy your tickets and reserve your spot! Here is all the information listed below, just click on each link for details and tickets. This class is followed with a 60 minute lecture about Permanent Weight Loss, book signing that is included in the morning’s events (9:00-10:00am).